TripAdvisor is overhauling their website and mobile app to be an all-in-one travel inspiration, planning and booking platform. Launching later in 2018, the redesign will include a new social feed aimed at giving each user a personalized, seamless experience. People will be able to follow their friends as well as brands in the new feed. Over 500 partners are on board for launch, including publishers like National Geographic, The Travel Channel, and The Knot, and influencers like Giada De Laurentiis and TravelBabbo. 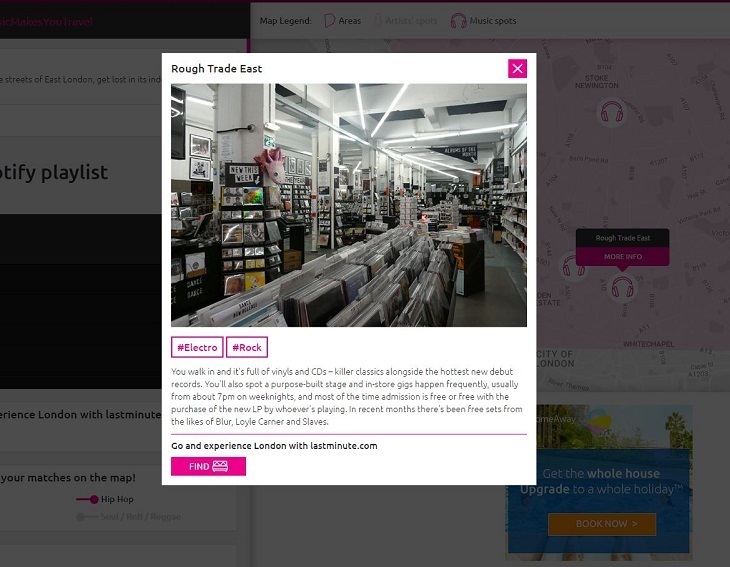 Content in the feed will include articles, videos, and recommendations that will help people discover new places. As members are planning a trip to a specific destination, they’ll see content relevant to the location and their interests. 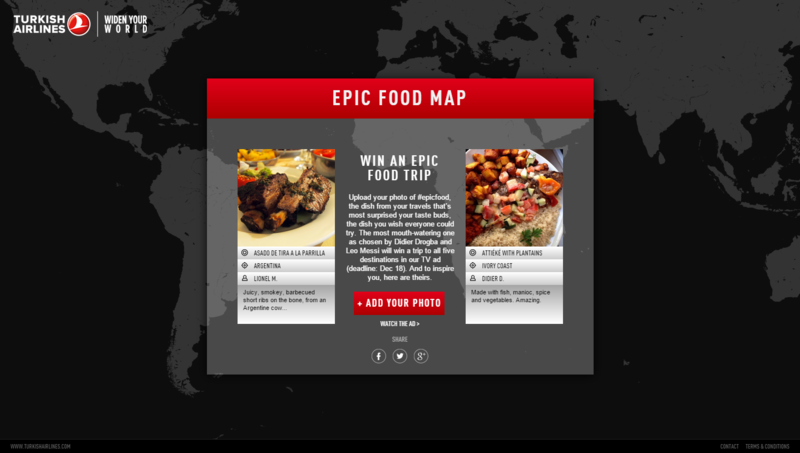 They can then save content into wish lists and itineraries, and ultimately book travel and experiences. 60% of people booking travel online are already going to TripAdvisor. Building on their success with a social experience and the trusted expertise of publishers and influencers can only strengthen the platform. Google is rolling out a few new features to its Google Flights search engine to help travelers tackle some of the more frustrating aspects of air travel – delays and the complexities of the cheaper, Basic Economy fares. 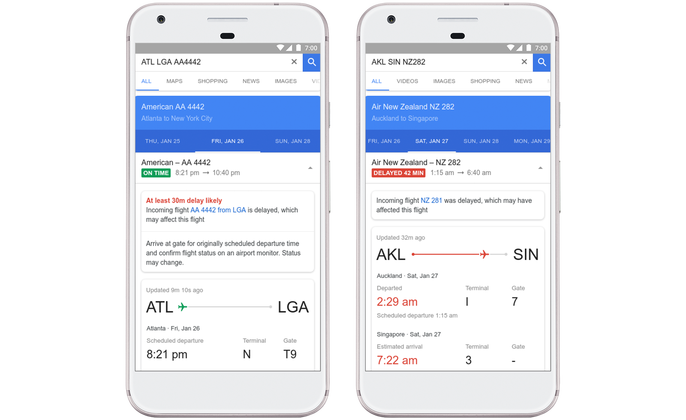 Google Flights will take advantage of its understanding of historical data and its machine learning algorithms to predict delays that haven’t yet been flagged by airlines themselves. It will also provide reasons for the delays, like weather or an aircraft arriving late. You can track the status of your flight by searching for your flight number or the airline and flight route, notes Google. The delay information will then appear in the search results. The other new feature added aims to help travelers make sense of what Basic Economy fares include and exclude with their ticket price.Google Flights will now display the restrictions associated with these fares – like restrictions on using overhead space or the ability to select a seat, as well as the fare’s additional baggage fees. It’s initially doing so for American, Delta and United flights worldwide. Great example of using AI and predictive methods to drive better customer experience, and combat an industry that is less-than-transparent usually. It makes Google’s search solutions more desired and solidifies it as THE place to search everything. Would like to see if the alerts could get actionable, though, as right now they are more anxiety-creators. It’s widely understood that when it comes to Mexicans & travel, your luggage is always at the seams. Someone always wants you to bring them something and you always want to bring a whole lot of trinkets you don’t need. This is mandatory ☝. Due to this unspoken rule, one of the most frustrating pain points is going over the weight limit. So when Samsonite released their new lightweight luggage product line, they headed straight to Mexico. The appeal of the luggage for this market would be that the less your luggage weights, the more unnecessary crap you can lug with you. They drove awareness to the luggage by introducing much-needed utility into the market – an unconventional luggage tag that acted as a scale to help people avoid overweight shock. The giant branded tags attached to luggage handles. If it held when lifted, then luggage was under the 50lb. If it broke, you were in trouble. – The tag kept the brand top of mind, especially during the most critical trigger moment of consideration…when people go over the weight limit. Tired of the earth? No worries, Elon Musk hopes to have trips to Mars available by 2024. With SpaceX’s new toy, BFR (which stands for Big F****** Rocket) is supposed to replace the current Falcon’s. The BFR is going to be 347 ft tall, 29 ft wide, and said to have 40 cabins that will store about 2-3 people, meaning there’ll be about 100 people per trip! But BFR isn’t only for trips to Mars or the Moon, Musk says it could also be a great way to travel around the world, shortening all trips to under an hour. “It’s 2017, we should have a lunar base by now” – Elon Musk. No, this is not a dream. It’s also not available for coach travelers. 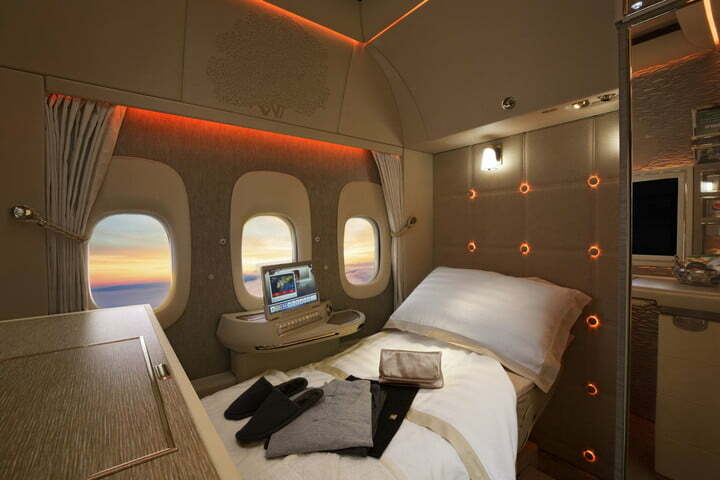 The products are solely for business class and first class travelers. You know, the people who need it the most. You, however, will still be unable to sleep on the red eye on account of the demon toddler kicking your seat from behind during the entire duration of the flight. Happy trails! It’s hot for Caspar because it gives them bigger name recognition in the very competitive next-gen mattress space. 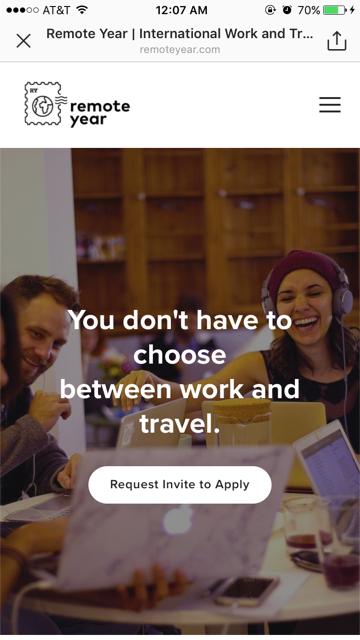 Travel and work at the same time? Yes! 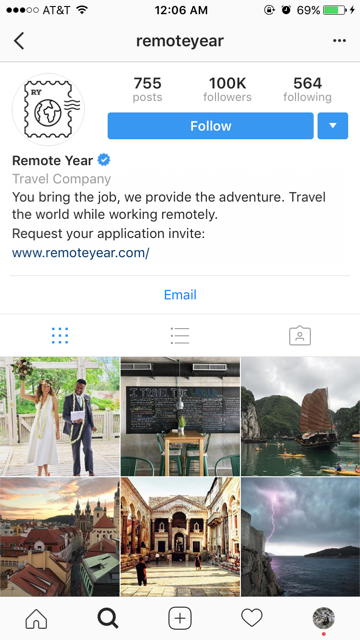 Remote Year is a work and travel program that takes people who’re looking for personal and professional growth on a year-long journey to work, travel, and live in 12 different cities throughout the world. Participants are called “Remotes.” They will live and work in a different city around the globe each month. The program costs $27,000 with a $5,000 down payment followed by a monthly payment of $2,000 for the first 11 months. The costs include co-working spaces, accommodation, transportation, planned events and activities. Why it’s hot: To millennials, every experience is a self investment. They are willing to invest their money and time into experiences that help them grow. KLM’s latest creative way to provide something extra for its passengers is a smart luggage tag that helps visitors to Amsterdam to get around the city. The airline’s agency, DDB & Tribal Worldwide Amsterdam, has developed a limited edition audio luggage “Care Tag” consisting of an offline GPS module and a speaker. 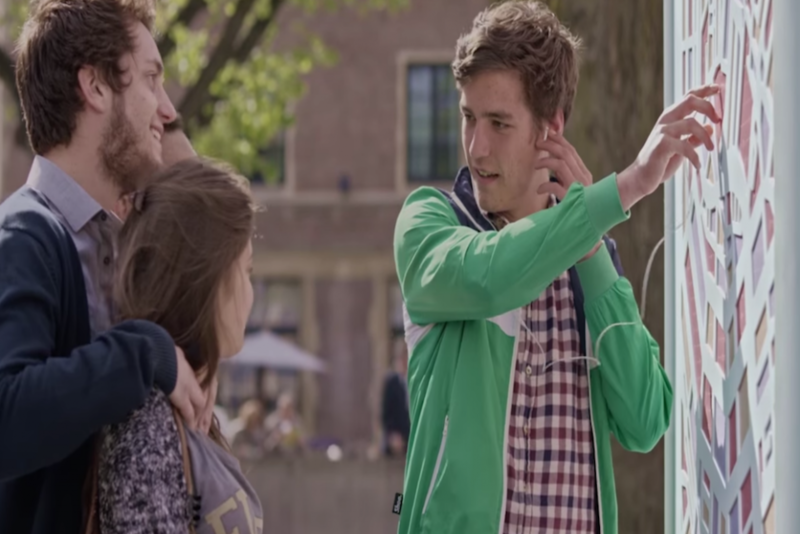 KLM aims to share not just the standard tourist tips, but helpful information like pointing out busy intersections with a lot of cyclists, where and how to lock your bike and when you have to watch out for pickpockets. There are also more lighthearted tips such as where to taste local food for free, where to see great street art or where to rent a bike or boat. The Care Tag comes with a USB charger so you can easily recharge it, and the audio works at two different volumes and was tested at many busy and noisy locations. Whether you’re walking or cycling through the city, it offers the right tip at the right location at the right time. The U.K.’s largest airline, British Airways, is making the boarding process a little less tedious by using facial recognition technology at London’s Heathrow Airport. A biometric device at the airport’s Terminal 5 scans passengers and boarding passes, then a second facial scan at the gate confirms their identity, without having to rustle around in search of any documents. Three gates have incorporated the system, but the airline is soon planning to expand to 33 more according to Skift. So far it’s only being used in domestic flights. This new development fits right in with most airports’ current trend of automation. 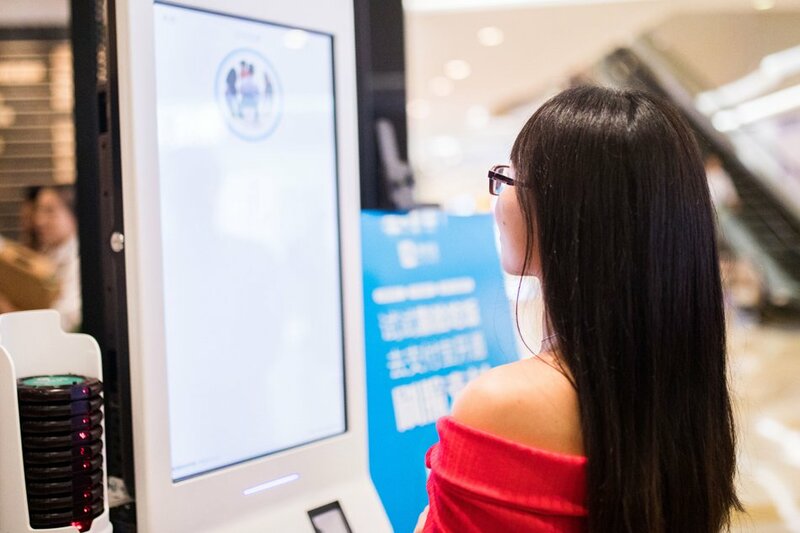 Self-check-in kiosks are in many around the globe, including Heathrow, and new opportunities for technology to take a leading role in airport security are sure to keep on popping up. This just makes a ton of sense as a way to use technology to make people’s lives easier, and potentially safer. Booking.com encouraged its 14,000 global employees to go out and document their carpe diem travel moments. After a years’ worth of documented travel across the globe, their footage was compiled into a video that places their adventurous employees at center stage and showcases their adventures in a manner that inspires wanderlust in all of us. 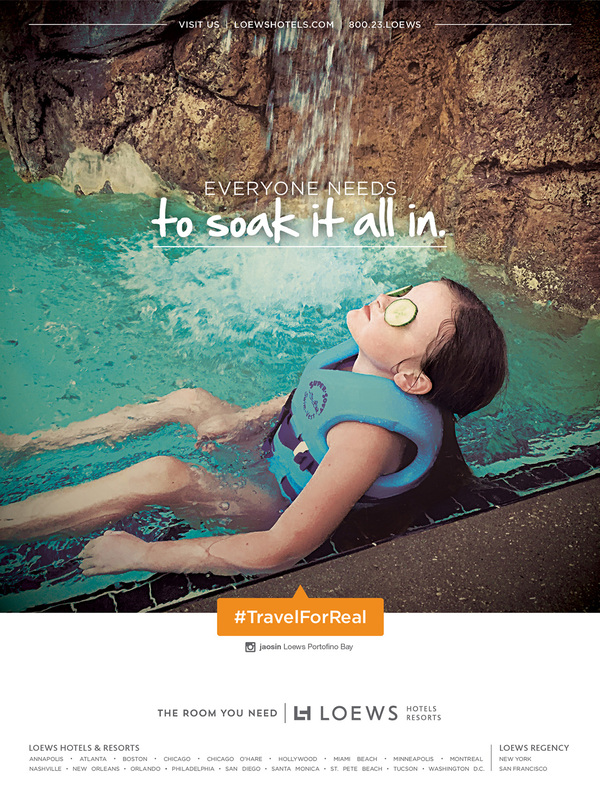 While this may seem like just another piece of content, it really goes the extra mile for Booking.com as it positions the brand and its staff as travel experts who drink the Kool-Aid they sell. Adds a human touch to a purely online business, where lack of human interaction makes transactions with the brand feel utilitarian. Makes viewers feel the feels in an authentic manner that inspires people to want to get lost in the world. Strategy is anchored on the insight that people are more likely to trust employee recommendations based on their own experiences with a brand/product. Even while Uber has, for the time being, backed out of on-demand rickshaws, New Delhi-based startup Jugnoo confirmed this week that it is closed another round of fundraising to continue to help make India’s ubiquitous auto-rickshaw drivers more efficient while also meeting consumer transportation demands. The service launched in November 2014 and is currently operating in 22 cities and claims 2 million users, around 6,000 drivers and about 30,000 rides per day. The co-founder and CEO of Jugnoo, Samar Singla, told TechCrunch in an interview that he started the service when he realized that auto-rickshaw drivers are just 30 percent utilized. The goal is to drive utilization up to 60 percent. Top priority for this year is to expand Jugnoo’s presence into an additional 25 cities in India, most of which will be second-tier. 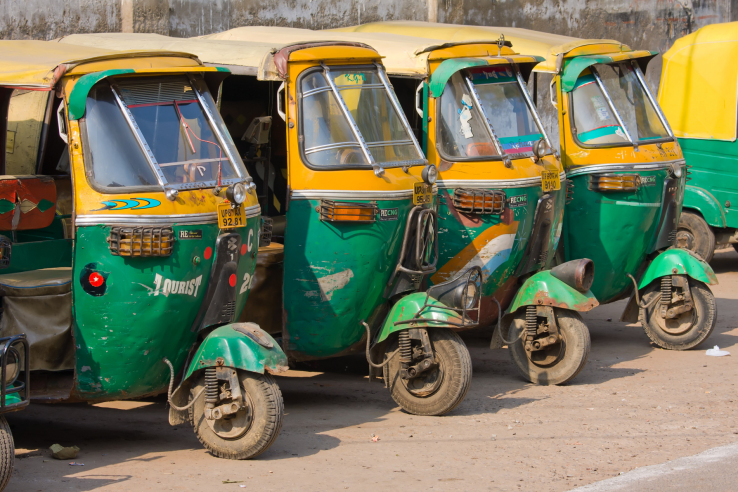 Uber failed at their initial attempt to enter the auto-rickshaw market with UberAUTO. They were unable to localize to the Indian market. India is Uber’s second largest market outside of the US, but it faces significant pressures from rivals such as Ola and Jugnoo. A French train company is using the power of audio to entice people to travel to its main destinations. 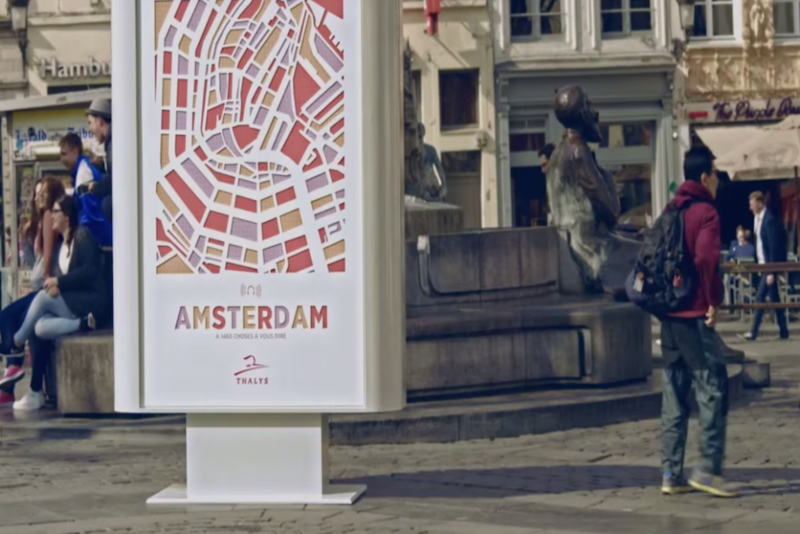 Thalys paired up with French Agency Rosaparks to create Sounds of the City, a set of interactive billboards that lets passerby plug in their personal headphones and listen to the sounds of Paris, Brussels, and Amsterdam. People travel to experience culture and learn the stories of people, and sound does an excellent job of conveying the message. So the Rosaparks team set out to each of the cities, collecting more than 1,000 different sounds from each place. Sounds of food, the market place, skateparks, and even from history archives were recorded and then implanted within the billboards. The result was essentially an audio database of urban life. The billboards were then outfitted to be a map of each city, with audio jacks placed in different areas and neighborhoods. Each jack holds a different sound, and passersby can insert their headphones into whichever one to experience a different time and place. Eighty-three percent of all advertising we’re exposed to focuses on sight, but sound goes underutilized as an effective marketing tool. Sounds of the City pulls audiences in, using a unique sensory approach to attract audiences. Studies show that audio influences how people experience their environments, and brands are experimenting and using this understanding to alter the consumer experience. Headphones create immersive experiences—distractions are muted and brands can take center stage. With these billboards, passersby can almost instantaneously experience the wonder of travel. But to use their other senses, they they need to then get on a train and physically experience the cities. We’ve seen a few cool billboards and OOH advertising lately — from soda and beer dispensers to digital coordination with moving trains. Using audio is an interesting approach that we haven’t seen yet, that picks up on insights about travel and encourages passerbys to actually engage. Typically hotels promote themselves in a fashion that can only be displayed to make you want to stay there through beautiful, high-resolution images. 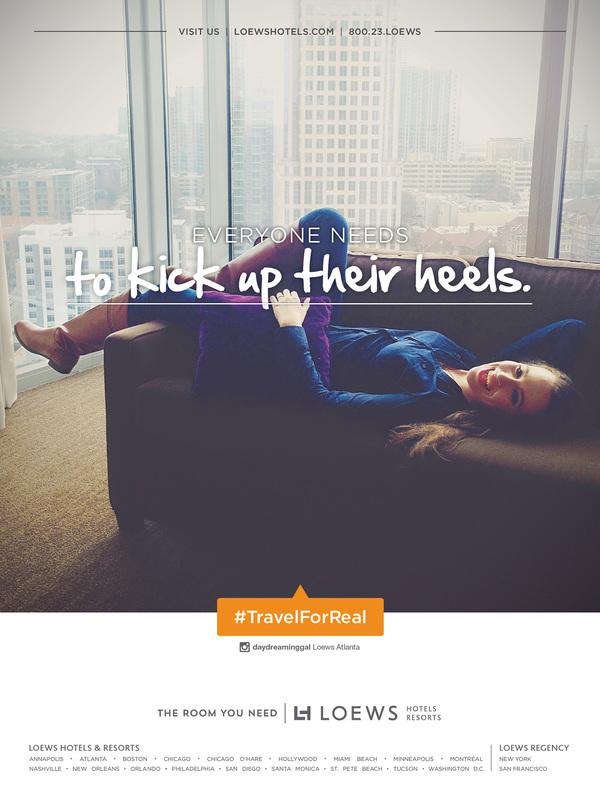 However, Loews Hotels is taking a different approach in their “Travel for Real” campaign. The brand used social media to foster this idea. They took to Instagram to see what types of content their guests posts and when they discovered their photos, it sparked an idea. Their new campaign will promote guest photos as opposed to those over photo-shopped images guests are used to seeing. What they found is that guests are more connected to the brand through this campaign and are more willing to use their branded hashtag. It also entices users to want to post their images along with the hashtags because let’s face it, every guests photo wants to be an ad for Loews Hotels. Now when gets stay at a Loews, they won’t be let down because they will know that what they see is what they will get. Brands are understanding the benefit in promoting user generated content. 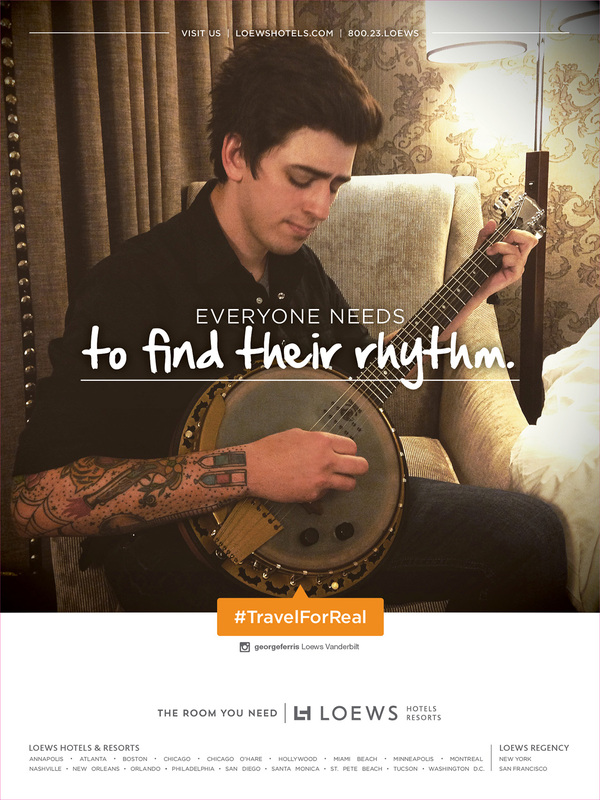 This is just a prime example of how a hotel brand can diversify itself and become more relatable for their audience. In a clever creative stunt to distinguish itself from other airlines (who typically rely on online bookings), Transavia decided to take the process of ordering tickets offline and into the aisles of grocery stores and vending machines. The tickets come in three varieties: gummy bears, potato chips, and cereal bars, each corresponding to one of three destinations – a bag of gummy bears will take you to Lisbon, potato chips will fly you to Barcelona, and the cereal bar can whisk you away to Dublin. With the purchase of any of these snacks, a quick scan of the QR code to take you to the booking page, and a special discount voucher on the inside of the packaging, it aims to portray the idea that Transavia’s plane tickets are so cheap (and easy to book! ), it’s like buying a bag of snacks. There seems to be a clutter of different budget airlines all competing to get travelers to use them. This may especially be true in Europe, where there are airlines like RyanAir that may feel like a bus in the sky but can fly across Europe in (sometimes) under 100 Euros. This campaign is a perfect way to disrupt that sea of sameness in airline marketing techniques. By venturing out into a territory that has never been advertised on, it creates a very surprising and innovative idea to bring this brand into the minds of consumers when they are least expecting it – in the grocery store, while conducting an average everyday task. The best part is that most airplane tickets are booked by consumers actively seeking out the discounts, whether through codes that they find online or deals through emails, but this campaign flips that old traditional way of thinking completely on its side. It offers a new way to convince someone, who may have not even been thinking of traveling, to indulge on a new adventure somewhere for very cheap. 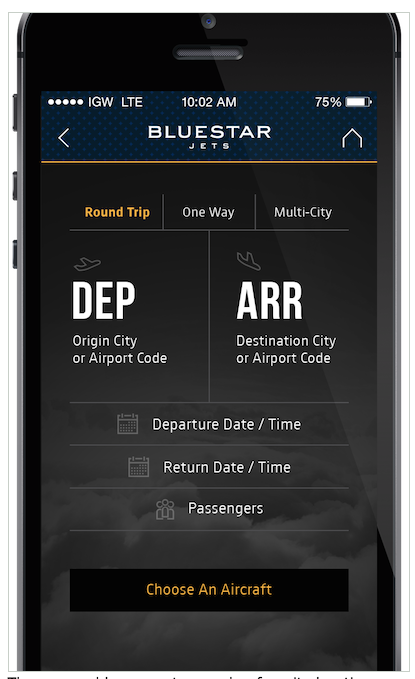 On-demand private jet charter company Blue Star Jets has launched a mobile application to offer on-the-spot bookings with access to and from any airport in the world. The company claims to have the first-ever global private jet app and to be a pioneer in offering 24/7 customer service providing follow-up confirmation within 15 minutes of booking so travelers can be in the air with as little as four hours notice. Blue Star Jets anticipates business to double as a result of launching the app. 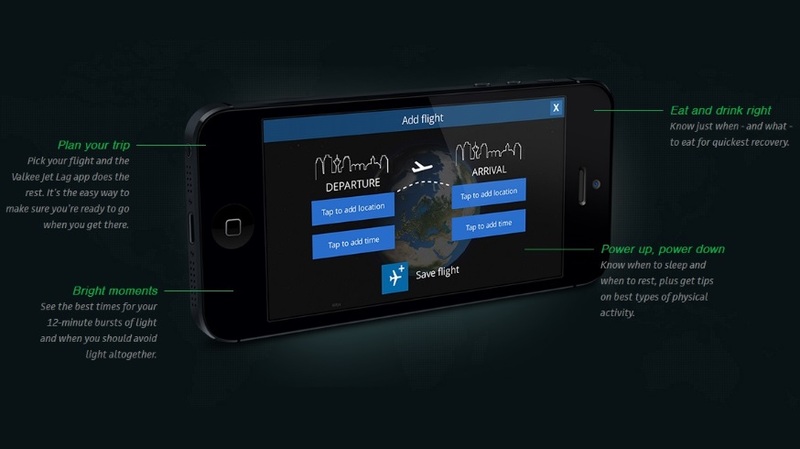 The app enables users to search a favorite location or any global destination for round-trip, one-way and multi-leg flights. Users can access a full list of all available empty leg flights, which are either flying to or from their point of origin empty to pick up other charter clients. Flyers can choose from a variety of options, including helicopters, turbo props, any corporate jet, an air ambulance, a cargo jet and a jumbo jet. An Uber-like approach to jetting – really? Just because it woks for daily commute, does not mean that the same exact business model can be translated into other categories (or, perhaps, I am simply not their target audience!). Still, great to see how different categories are trying to innovate and push the boundaries of the unthinkable. 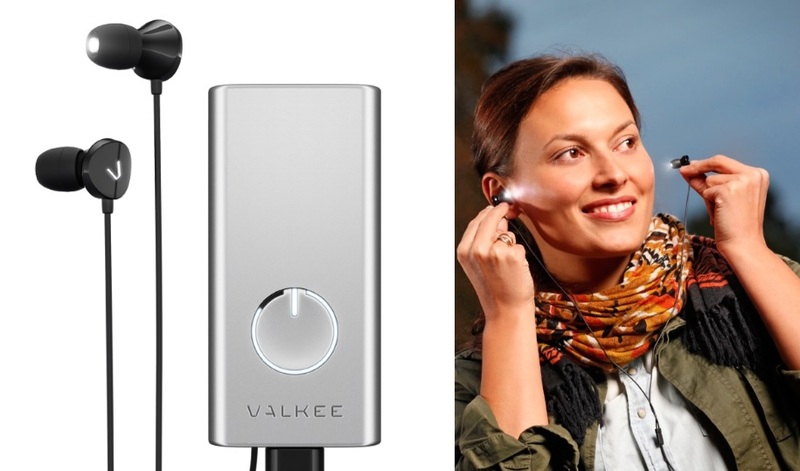 The Finnish startup Valkee, which has previously released products for treating seasonal affective disorder has launched the Human Charger as its latest gadget for combating the effects of jet lag in travelers. According to a recently released study, the bright light-emitting headset—which users can now coordinate with other aspects of their pre- and post-travel routines via a new app—has shown significant effectiveness in supporting a traveler’s overall recovery from jet lag in the days following travel. The Human Charger (called Valkee II at the time) has since been made available to Finnair’s flight crews, while Singapore Airlines, KLM, and Iberia planes have also begun stocking the headsets for their own long-haul passengers. Though the jury is out on how well this actually works, I think it’s interesting to see the trend of technology solving problems that have existed for ages — particularly improving the travel experience, which can be frustrating and disruptive. I look forward to seeing how the studies pan out on the effectiveness of this product, as well as other travel solutions that may come up. Mobile is transforming the hotel check-in experience, with 1 million Marriott International customers having checked in to their rooms on their mobile devices since the option was introduced nearly two years ago. Marriott International is celebrating the accomplishment with a sweepstakes giving Marriott Rewards members who use mobile check-in a chance to win millions of rewards points. 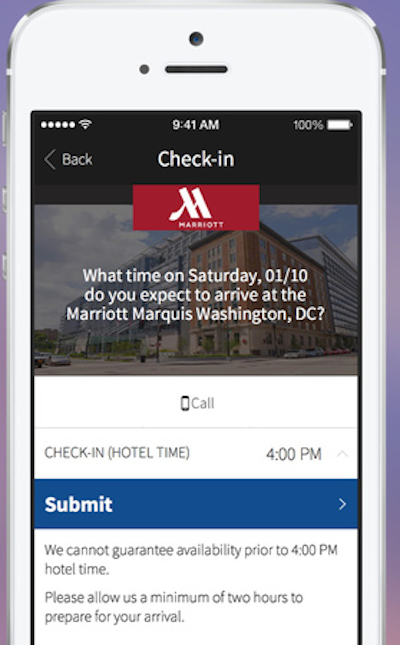 The Marriott Mobile App enables guests to check-in after 4 pm the day before their arrival and receive an automatic notification when their room is ready. Less than two years old, over a million travelers have embraced mobile check-ins. It’s ease and convenience is transforming the check-in and overall guest experience. Other hotel chains are now offering this service too, including La Quinta and Hilton in addition to Marriott. Marriott continues to build on the strategy, having recently announced that guests will be able to use the Apple Watch to check-in before their stay, receive alerts when their room is ready and checkout. In a sign of the times, Japan is slated to open the world’s first hotel staffed almost entirely by robots and controlled by the latest in computer technology, according to the Japan National Tourism Organization (JNTO). The Henn-na Hotel, or “Strange Hotel,” will open its doors on July 17 on the grounds of Huis Ten Bosch theme park near Nagasaki, according to an announcement from JNTO on Jan. 28. 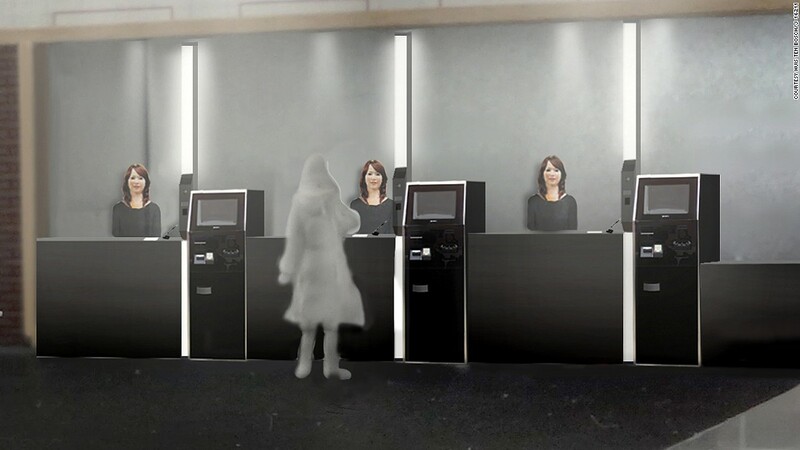 The hotel will initially be staffed by 10 robots working alongside humans to provide a wide range of services from manning the reception desk to carrying bags and cleaning rooms. The management hopes to eventually have the hotel almost entirely staffed by the machines. 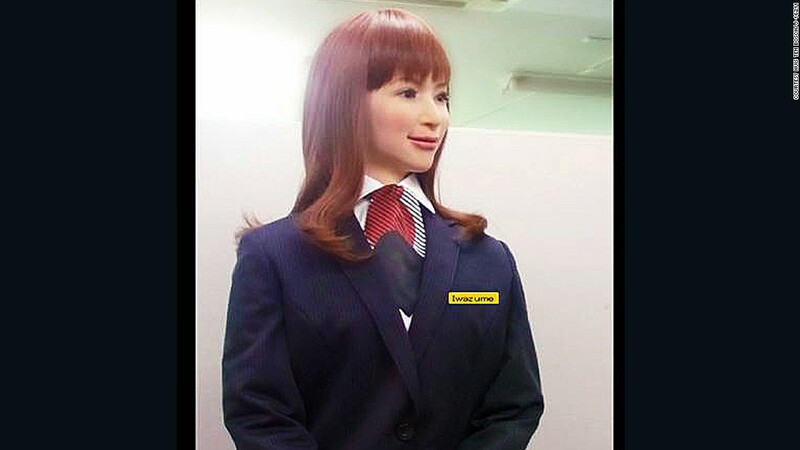 “In the future, we’d like to have more than 90 percent of hotel services operated by robots,” said Huis Ten Bosch president Hideo Sawada. 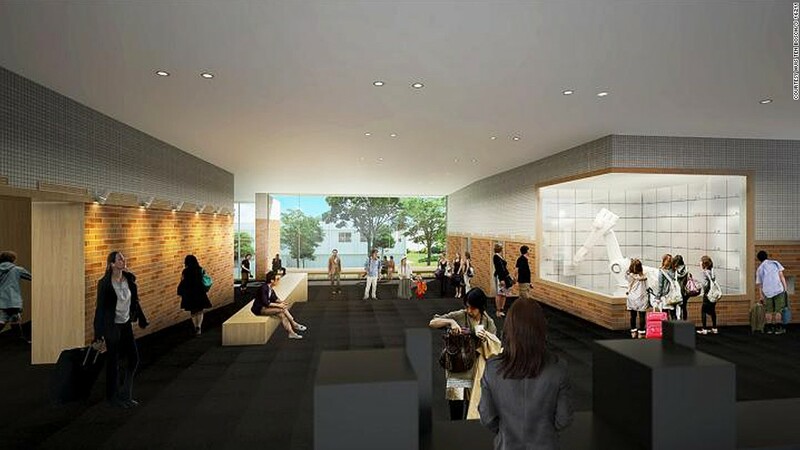 In addition to the robots, Sawada says the 72-room facility will feature high-tech gadgetry aimed at making Henn-na the “most efficient hotel in the world,” The Japan Times reported. Instead of traditional air conditioning, for example, rooms will feature radiation panels that create a “comfortable indoor environment with no unevenness,” the hotel website added. The panels will automatically detect body heat and adjust room temperature as needed. Hotel guests will also be able to access their rooms using facial recognition technology instead of room keys. Anyone uncomfortable with the system will be free to use old-fashioned keys, the hotel’s website said. The hotel promises constant innovations as technology advances. Henn-na Hotel has tentatively priced single and twin rooms at about $60 and $75 per night, respectively.Sawada told Japan’s Nikkei news website that he plans to take the business model global, opening 1,000 similar hotels around the world. While there are clearly benefits of robot hotels – robots replacing human employees should help keep labor costs at a minimum, which means cheaper rates for customers. However, In the US, Starwood’s Aloft brand recently announced that it was testing the chain’s first robo-butler, named ALO. Would these robot hotels redefine the “economy” hotel class. Everyone makes mistakes, including credible news sources like The New York Times. The newspaper recently published an article about a climber who escaped captivity in Asia by throwing an armed militant off a cliff. It’s a fascinating story, but you won’t find the place where the article says the incident took place on any map. Kyrzbekistan, perhaps a mistaken mash-up of central Asian countries Kyrgyzstan and Uzbekistan, is not a real country. Naturally, the Internet responded almost immediately. Read more on the reaction to Kyrzbekistan via Adweek. Why It’s Hot: No one can make a single error online without the world noticing. Mistakes quickly go viral, sometimes at the cost of a brand’s image, with the brand left to pick up the pieces. In this case, parts of the Internet are responding relatively well. While senior editors at the New York Times are undoubtedly kicking themselves, the accidentally-created country of Kyrzbekistan now has its own Twitter feed and a lighthearted, seemingly harmless following. It’s interesting to note not just how fast the Internet reacts to things like this, but that they stay relevant for a little while – even if just to bored millennials – before fading out. With Kyrzbekistan’s statehood, it took one day for someone with perhaps too much time on their hands to create (and still maintain) a Twitter handle. Since then, tweets have continued to pour in. The buzz is surely driving traffic to the original article; I wouldn’t have read the piece if it hadn’t been for the error. And the tourism industry of Kyrzbekistan – I mean Kyrgyzstan – is probably mindful of the publicity. It’s the perfect gift for the one on your list who truly loves to travel: An airplane! Well, at least part of one. Taking off just in time for the holidays, Boeing has launched a Custom Hangar store full of limited edition items including everything from home decor and furniture to apparel. Vintage airplane parts such as an authentic 747 jet window picture frame and a high-top table made from the real engine of a 737 are being diverted to your home. Be it a couch of business class seats, a coffee table or a beverage cart, Boeing is arriving in consumers’ living rooms. Talk about a conversation piece. Why It’s Hot: Boeing isn’t itself an airline or a traditional consumer brand — most of us probably don’t have a few hundred million dollars lying around to purchase aircrafts — but their sale of merchandise is getting consumers’ wheels spinning. 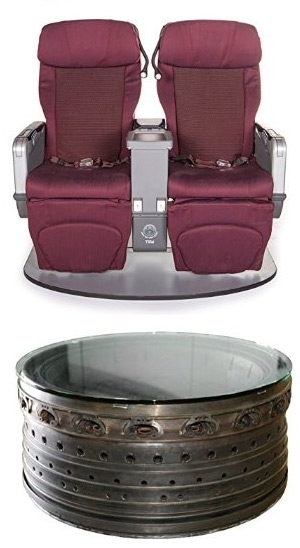 As opposed to typical furniture retailers, Boeing’s products are a part of history. They even have fans; that is, they have spinning blades and people that are fond of them, and willing to spend money on memorabilia. For a brand usually reserved for long-distance travel and faraway trips (via airplane), it doesn’t get much more personal than landing inside the home. Brands already vie for ad space in our hands, on our screens and outside our homes, so perhaps it won’t be long before more conventionally out-of-home, outdoor brands move inside to serve real purposes as household items. 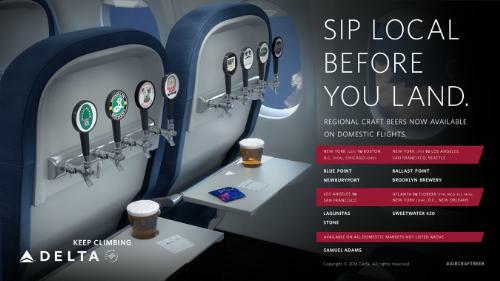 Delta Airlines will start serving brews from seven craft breweries on its flights. On certain routes, passengers will be able to drink beers from San Diego’s Ballast Point Brewing Company, Long Island’s Blue Point Brewing Company, Brooklyn’s Brooklyn Brewery, California’s Lagunitas Brewing Company and Stone Brewing Company, Massachusetts’ Newburyport Brewing Company, and Atlanta’s SweetWater Brewery. Plus, all domestic routes will also serve beer from Samuel Adams. This year, Delta has taken steps to improve its food selection as well: Besides serving the airlines’ addictive spiced, speculoos-style cookies, the company has partnered with chef Linton Hopkins to design an in-flight menu featuring upscale eats. It’s interesting to see how the airline industry is evolving to changing tastes. We saw British Airways matching in-flight food to music tastes recently. It’s also interesting to see the power that beer tastes in particular are driving a change in the beverage landscape. We’ve seen brewers, such as Shocktop, start to adjust to preferences for craft beer as well. It does make one wonder if airlines are prioritizing catchy perks over major improvements to comfort. Last month, Virgin America tried getting people excited about their brand by showcasing just how boring flying can actually be. Now, Delta Airlines is joining the trend with their purposely super-boring game Cloudgazer. In an effort to showcase Delta Studio – their new in-flight entertainment options – Delta had this boring game created to award someone with (wait for it) the most unboring flight (which in actuality is just a free roundtrip flight of the winner’s choice). The way the game works is users gaze at clouds (on their computer screen because, well, going outdoors? Ew?!) and the person who clicks on the most clouds before the close of the contest wins the flight. Read more about this scintillating game on Digiday. Why It’s Hot | Missing the connection here? You’re not alone. To remind the lucky window seat-holders just how boring it is when an airline doesn’t have in-flight entertainment, Delta made a game. It’s a little silly, but this emerging trend of airlines embracing how boring flying can actually be is quite humorous. What opportunities are there for brands in other industries to embrace their failing customer experiences? Virgin America’s New Video Asks: If You Can’t Watch the Film, Why Do This in Real Life? 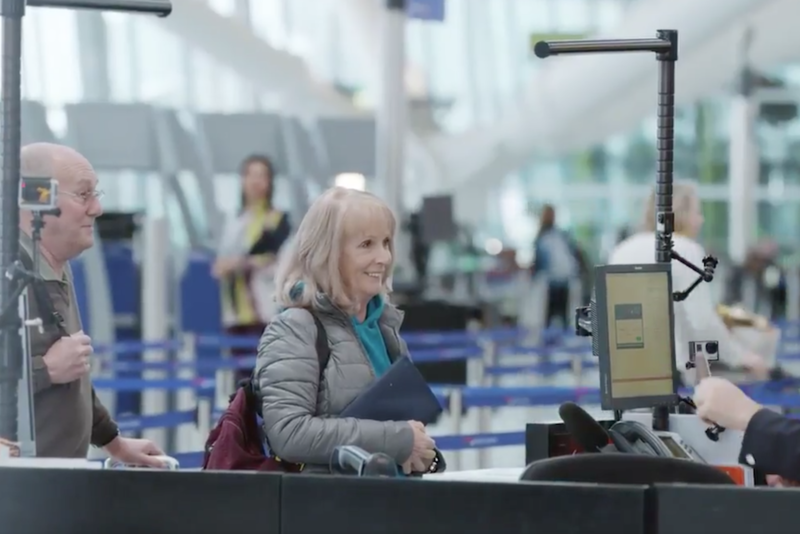 Virgin America has released a new online campaign centering around a six-hour pre-roll video. No, that wasn’t a typo. It wasn’t supposed to say “six-minute.” That’s six hours. 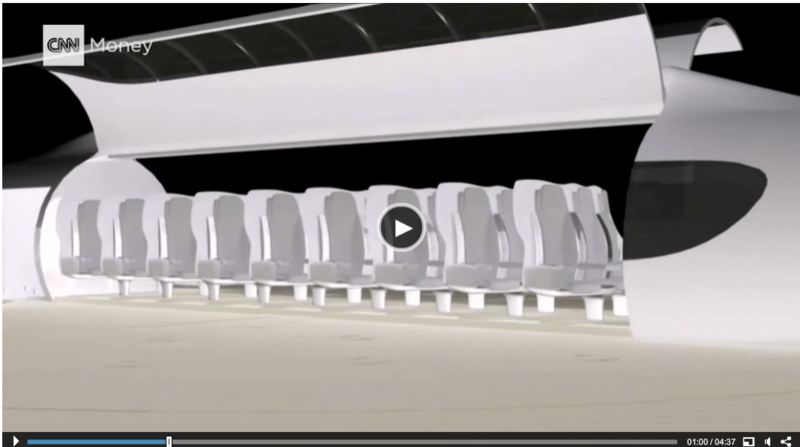 The six hour video is meant to depict – in “real time” – the experience of flying on a typical competitor airline for a 5 hour and 45 minute flight from Newark to San Francisco. Here, that airline is called BLAH Airlines (a fake airline with a real website! ), but we can all imagine at least one or two actual airlines they’re referring to. The seats are cramped, the lighting is harsh, there’s no great entertainment, and no real food. Why It’s Hot | Many of our clients fear being ‘too negative’ or focusing too much on their competition. Virgin takes an interesting approach to avoiding both of things, by still actually doing them. The “real time” look into a BLAH Airlines experience doesn’t actually talk badly about Virgin competitors, but the message is obvious enough to anyone who has flied recently. Forget about spending hours on travel deal sites searching for the best bargain. Now all you have to do to get a great hotel rate is up your social media friend count. Currently Hotelied only has hotels in 5 cities: New York, Los Angeles, Miami, Portland, and Tel Aviv, and offers deals of up to 50% on hotel rooms. A tester found that the hotel themselves were not offering such steep discounts. Read more details on Telegraph. Why It’s Hot | The concept of “free publicity” via social media is nothing new and exciting, with brands constantly using the platforms for awareness campaigns, contests, coupons, and limited offers tied to sharing. That being said, it is interesting to see a standalone website that offers discounts solely based on one’s social media presence. It’s also quite refreshing to see something relying on social media influence without following the overdone Klout / Kred model. This discount/experience-based-on-following concept is sure to expand in the future with other platforms.